There is a wealth of spiritual knowledge and healing available to everyone! and Discover your Divine Purpose. The more we understand who we are and what our purpose is on this planet, the more we allow ourselves to have true inner peace and the power to create and direct our current journey on this planet. What if you knew why you were facing the same issues over and over again? What if you understood why certain types of people kept appearing in your life over and over? What if you had the power to remove energetic obstacles from your path, and gain more freedom to flow your energy? What if you understood your higher purpose and could access an unceasing flow of love and abundance? What if you could communicate with your spirit guidance in an easy and effortless manner? The secret to accessing this information is found by connecting with the Akashic Records and developing your connection with SPIRIT and your Higher Self. √ How to access your Akashic Records reliably and accurately. √ Gain insight and understanding about your spiritual nature. √ Strengthen your Divine gifts and understand your soul’s purpose. √ Increase your awareness of your spiritual guidance and how to work with them. √ Enhance your relationship with SPIRIT and transform your life through this experience. √ Access healing energy for the mind, body, and soul. √ Discover your blocks and energy programs throughout the Akashic Records in a way you can dissolve them instantly. √ Learn tools to create differently and experience a freer more fulfilling life. √ Bring a new level of clarity and effectiveness to any energy healing work that you are currently doing. Now being offered in both live stream and in person instruction. The Next Class will be conducted via live stream on the Internet on July 17-19,2015. Class will begin at 9 AM Mountain time and end at 5 PM Mountain time each day with a one hour break for lunch. Students are required to be present for the full time of the class in order to receive a certificate of completion, and gain the full benefit of the training and experience. Students are required to use a webcam for the length of the class time. Instruction time via the live stream requires that we be able to see and hear each other. After registration you will receive a link to the live stream site (virtual classroom). Class will not be recorded, and the are no replays. A link providing the charts and instructional material will be provided for you to download and print in preparation for the class. Students will need a pendulum for all class work. It is recommended that you purchase a pendulum that has a length no longer than 6 inches. Students may have snacks and / or bottled water in class each day. This class includes paper charts which become easier to navigate in clear sheet protectors, non glare are recommended, and without tabs seems handier. Students may also require an additional notebook for notes, and / or highlighters. Students will be sitting for long periods of time and desire to use a pillow or additional back support. Students are expected to make their own travel and accommodation preparations independently as they are not included in the class pricing. Students will be sitting for long periods of time and may bring a pillow or additional back support. What is imparted to each student? The in-person instruction will include basic level Spiritual Response Therapy. This is a spiritually-based system of learning how to identify the nature of the energies that are impacting your life and how to shift, clear, or remove those energies. The shifting of these energies are for a greater flow with spirit, and supports your ability to create emotional balance, engage more fully in positive life activities, and how to hold positive spiritual beliefs that lend themselves to creating and maintaining jobs, relationships, health, and prosperity. Please note this modality is a spiritually based system. The basic level Spiritual Response therapy class includes instruction / practice time of three full days and one half day, charts for accessing the Akashic Records, and a pendulum. Certificate of Completion for Basic Level Spiritual Response Therapy Class. Access to a Facebook page with other Spiritual Response Therapy Practitioners. Group phone call at the end of the month to discuss experiences and answer questions. 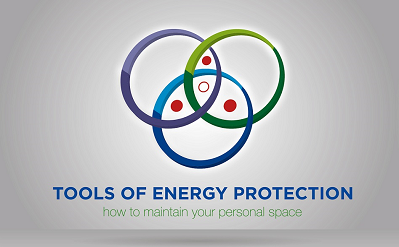 Learning personal energy management and how to say no to energy vampires. Step 1: Please click on the “buy now” option to complete payment and secure your placement in the class. Step 2: Please send me an email at deanna@radiantlove.us with your name, contact phone number, and email address so that I can confirm your registration and send you the exact street address of the class. Thank you so much for allowing me to impart this wonderful spiritual knowledge to you. Thank you for your integrity. Images are available for purchase at http://www.dreamstime.com. Wonderful that SPIRIT is working with you.